I will deal with Dr Donnelly’s points under three broad questions relating to IPS. Dr Donnelly insists that he does not support ‘privatising government schools and running schools as profit/loss commercial enterprises’. This is puzzling given the evidence that he uses to support the case for IPS, and it reveals some real conceptual confusions. The first and most obvious problem is that Dr Donnelly refuses to pin down what he understands school autonomy to mean. His statement ranges across community schools of the 1970s, to private schools overseas, to non-government schools in Australia, to privately managed schools in the United States, India and New Zealand, to Free Schools in England. This extraordinary confusion of structures, approaches, and styles are lumped together and treated as though they all represent a common version of school autonomy. Little wonder that Donnelly does not understand that he is promoting for-profit schools as well as not-for-profit privately managed schools – that is, privatised public education. There are many Charter schools in the US which are now for-profit schools, the James Tooley schools in India and Africa are for-profit private schools, and in England, Minister Gove is favourably disposed to the presence of for-profit Free schools (interestingly, the Times Education Supplement recently reported that the first for-profit Free school in England has admitted it is offering sub-standard education). Given that he uses these examples to show that Australia is ‘not alone in giving government schools increased autonomy’ – as though the existence of these models is enough to demonstrate that they work – it is difficult not to draw the conclusion that Dr Donnelly is supporting the privatisation of public schools. Endogenous privatisation which involves importing ideas, techniques and practices from the private sector in order to make the public sector more business-like and ‘independent’ of systems. This seems to be the direction of IPS in Australia, where Minister Pyne has often talked about his desire to make public schools more like private schools. Exogenous privatisation which involves opening up public schools to be run by private individuals, corporate companies or organisations for-profit, or not-for-profit. This approach is represented in most of the overseas examples cited by Dr Donnelly. Both forms of privatisation, founded as they are on the values of choice and competition within an education free-market, change the ways in which public schools are organised and operated. As I argued in my earlier contribution, such changes are inconsistent with the key characteristics, indeed the spirit and essence, of public education. I made it clear that I supported greater flexibility for schools at the local level in the areas of curriculum and school support, within a set of values which are consistent with a public system which fosters the common good. Flexibility in this approach is used by each school to maximise educational quality in the school, but also to collaborate across schools to make better schools and a better system for all. That is not the sort of flexibility being promoted by Dr Donnelly. If Dr Donnelly does not support privatised public education, he needs to explain why he cites for-profit schools as evidence that school autonomy works. What are the purposes of IPS? It is not surprising that having a confused understanding about the meaning of school autonomy results in a confused understanding about its purposes. One would imagine from Dr Donnelly’s response that the purpose of the IPS policy is to give schools greater curriculum freedom since that purpose is the main thrust of all the ‘evidence’ he cites. For example he quotes from PISA that: ‘In countries where schools have greater autonomy over what is taught and how students are assessed, students tend to perform better’ (OECD, 2011). He even points to his own feelings of ‘excitement, motivation and sense of collegiality’ that developed when the first group of teachers at St Helena Secondary College were ‘freed from external constraints’. I can concur with that, having been a teacher at the new open-space Banksia Park High School in South Australia in the 1970s where we tasted the same curriculum freedom. The trouble is that is not what IPS is about. The federal government cannot give, and has no intention of supporting, curriculum freedom for schools. As a member of the two person team recommending what to change about the national curriculum ( a top-down model of curriculum change in its own right! ), Dr Donnelly more than most should know that there is no intention that independent public schools will be granted exemption from implementing the national curriculum. No, the federal government is not talking about curriculum freedom. Its IPS focus is on giving Principals greater freedom to manage budgets, resources, infrastructure and staffing. And guess what? In the same PISA research from which Dr Donnelly extracts the quote above is the sentence: ‘… there is no clear relationship between autonomy in resource allocation and performance at the country level’ (OECD, 2011). That’s right, a key finding from the very research Dr Donnelly uses, is that giving school autonomy over budgets and resources – the major thrust of IPS – does not automatically result in improved student learning. Why would Dr Donnelly not mention that finding? (c) strategies developed to ensure that public schools continue to collaborate to build a quality system for all, not compete in an education market where some schools are advantaged and many fall by the wayside. In short, we need to discuss the limits of giving additional flexibility for schools to manage resources to suit local needs; and, even though it is off the government’s agenda, I would include in that discussion consideration about the level of curriculum freedom needed to enhance educational standards. The key question is how such flexibility can be managed so that it builds, not damages, the public education system as a whole. This requires renewed understandings about the characteristics of public education that as a society we want to protect and foster. That is, this is not an argument about private schools. It is Dr Donnelly who keeps drawing invidious comparisons between public and private schools. My point is that unlike Minister Pyne, I do not want public schools to be more like private schools. I want public schools to retain the essence of what it means to be a public school. In the diverse system of education we enjoy in Australia, it is important that we differentiate the mission of school systems. I would have thought that advocates of school choice such as Dr Donnelly would celebrate that difference, not seek to create uniformity! What is the evidence for IPS? In my contribution to the debate, I developed some philosophical arguments against IPS and then produced empirical evidence to cast doubt on the claims that giving schools greater autonomy over budgets, resources and hiring and firing of staff, will raise the quality of education. In the main I focused on the examples of ‘school autonomy’ cited by Dr Donnelly, the majority of which come from the extreme end of the privatising public education continuum. I showed that there was a lot of research demonstrating that Charter schools have not improved student learning outcomes, but mentioned that some studies argued that there has been improvement. My conclusion was that it was pointless to simply trade research studies, or just google and quote. Instead, it is important to examine the rigour of the research. I also pointed to the narrowness of most of the research studies quoted by Dr Donnelly which purport to evaluate the educational outcomes of ‘autonomous’ schools. In the main they only use the results of national or international standardised tests as the gold standard of educational quality. Clearly such outcomes are too narrow. They tell us nothing about key aspects of education quality such as the nature of relationships, school environment or community engagement. Importantly, they do not reveal the damaging effects of Charter schools on the diversity of traditional public schools, their involvement with local communities, and their capacity to collaborate. In his rebuttal, Dr Donnelly makes a revealing point. He accuses me of referring to Tomorrow’s Schools in New Zealand instead of the ‘school autonomy initiative’ of Partnership schools. I did so quite deliberately because Partnership schools have only just got under way in New Zealand and, as with Independent Public Schools in Western Australia, there is no empirical evidence to show outcomes either way. I therefore chose as my New Zealand example the self-managing school initiative – Tomorrow’s Schools – which has operated for 25 years, and about which there is a lot of research evidence. In particular I referred to the recent book by Dr Cathy Wylie, the Head of Research at NZCER. In it she describes the many deleterious effects of Tomorrow’s Schools, and argues that New Zealand needs to totally rethink the school autonomy approach and return to more central and regional support for schools. No wonder Dr Donnelly did not want to refer to that example of school autonomy, but rather mention an experiment about which there is no evidence! As someone who claims to oppose profit/loss school enterprises, he might also be interested to know that the Partnership school experiment in New Zealand involves companies, groups and individuals operating like Charter schools in the US, for-profit as well as not-for profit. My main message to Dr Donnelly is that if he is going to promote IPS he needs to publicly clarify (a) what he means by ‘school autonomy’; (b) what are the purposes of school autonomy; and (c) what all the research evidence really demonstrates about his version of ‘school autonomy’. There is no doubt, given this interview, that Kevin Donnelly has no objection to the use of corporal punishment in schools. This statement is a reckless and inappropriate endorsement of archaic attitudes and practices in relation to the discipline of children both in schools and society. In a community where neglect and violence against children has been on the increase, corporal punishment must be seen as a totally inappropriate and ineffective behaviour management strategy for schools. A National Summit, Behaviour in Australian Schools: Current trends and possibilities, was held in South Australia last week with the clear aim of raising the profile of children and their rights as students in schools. The Summit brought together significant research on the complexity of behaviour in schools. This research provides new insights into the ways schools can engage students in their learning and schooling while respecting their dignity, treating them fairly, and allowing and encouraging them to continue their education. It critiqued punitive responses to misbehaviour and offered alternatives. It is upon this kind of evidence-based research that a senior educational advisor to the government should base his comments. Harking back to community standards of more than 30 years ago has no relevance to the realities of today or 21st century community expectations. The educational researchers and other participants involved in the Summit were disconcerted by the comments made by Kevin Donnelly, especially as he is a senior educational advisor to the Federal Education Minister. In this role, the Australian public has a right to expect informed commentary and advice based on sound research. We call on the government to remove Mr Donnelly from his position as advisor on any matters related to the education of children in Australia. We call on the government to amend legislation to ensure that the children of Australia are protected from all forms of corporal punishment in schools. 52. Associate Professor Dr Brian Cambourne A.M. These researchers have also added their names to the list. 193. 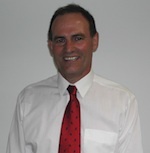 Dr Frank Davies, Head of the School of Education, Tabor Adelaide. If you are an educational researcher and would like to add your name to this list please post your name and title in the comments section below.